Ramón Allones cigars first arrived on the tobacco scene with an identity that was all their own, and these fine-quality products have continued to set trends ever since. Created by a Galician named Ramón Allones, this brand is undoubtedly one of the smaller Cuban cigar labels, but is definitely not without prestige, offering a favoured full-bodied smoke for many. It’s actually widely credited as pioneering the now long-standing tradition of cigar packaging, including the use of labels, colourful lithographs and signature emblems on boxes. It’s also arguably the case that Ramón Allones was the first cigar brand to package in the “8-9-8” style, bringing a never-before-seen cigar size into being. Originally founded in the mid-19th century, the Ramón Allones brand name is now one of the oldest to still be in production. The signature taste of Ramón Allones cigars is both intense and intricate, with many layers of flavour as a result of a complex blend of binder and filler tobaccos. Many sizes of Ramón Allones cigar have come and gone over the years, but the currently available selection remains invariably popular with aficionados. One of the most famous cigars from the modern collection is the Gigantes, although the James J. Fox collection also includes Club Coronias, the beloved Specially Selected and Limited Edition cigars. Having manufactured quality cigars for more than a century and a half, Ramón Allones is still true to the faithful blends of tobacco that were beloved by the founder, and with good reason. You can buy a variety of Ramón Allones cigars from James J.  Fox of London, with our St. James Street, Harrods and Selfridges stores all having these cigars on offer, as well as many more cigar types to suit your individual preferences. If you’d like to discuss any of our cigars, or indeed the range of cigar accessories we have, you can also do so in store with one of our Masters of Habanos-certified staff members, and the smoking ban exemption on the St. James Street store even allows you to try a cigar before you make a purchase. We have more than 200 years of tradition behind us, so will be happy to assist you to find your ideal smoke. Contact us today to find out more.